Suzanne is a Vice-President of Engineering and the steward of the information entrusted to Google Cloud. Suzanne and her team ensure the overall compliance, security, privacy, and integrity of data stored in Google’s Cloud services (e.g. Google Cloud Platform, Gmail, Google Drive, Google Docs). With over 20 years of industry experience leading advanced technology operations, engineering, systems design, policy, and compliance, Suzanne is entering her 13th year at Google where she has worked across the company to “engineer trust” throughout its infrastructure, products, processes, and policies. Her team supports all verticals in the Cloud, including consumer, government, enterprise, and education. 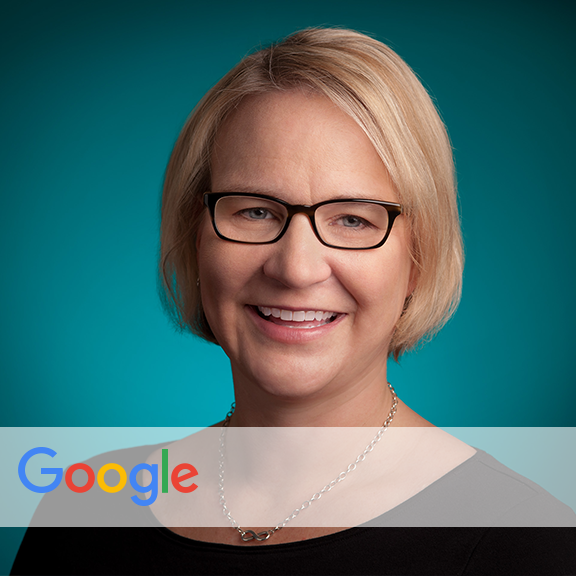 Prior to Google, Suzanne spent over a decade leading large-scale enterprise applications engineering, professional services, and operations globally. Suzanne received her BA from Wellesley College and her MBA from MIT where she was also a Sloan Fellow and research assistant for the Center for Information Systems Research (CISR). Suzanne serves on the Board of Directors for The Motley Fool. In addition, she has served on academic boards and leadership councils for both MIT and Wellesley. Suzanne is an active advocate for STEM education, innovation, and the power of diversity. She is also a founding member of Google’s global Women@ Leadership organization.